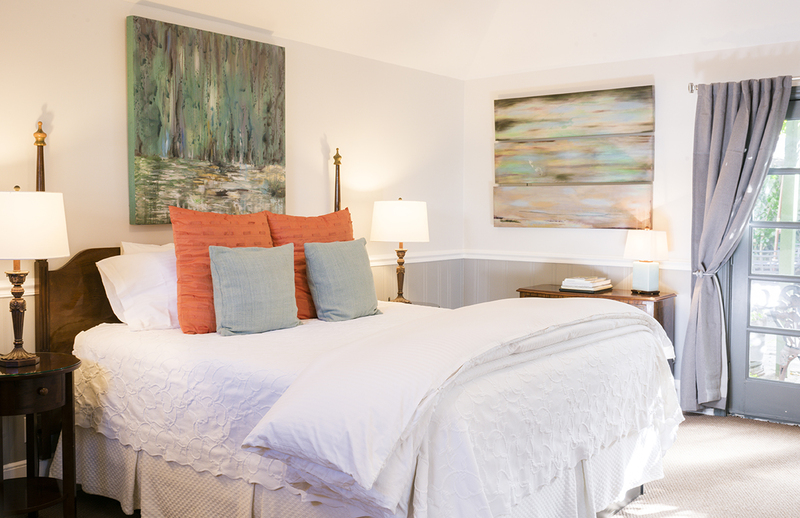 This expansive, detached private cottage features an exquisite California king-sized bed with organic Egyptian cotton coverlet, fine sateen linens and feather down comforter. 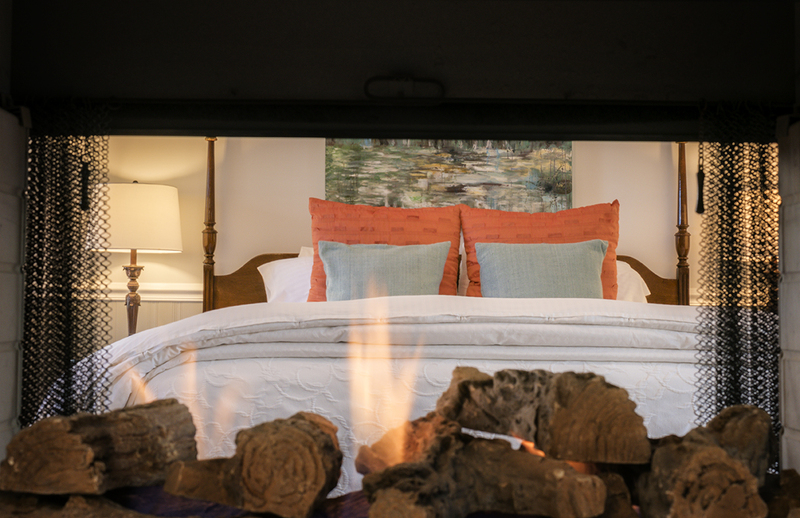 A romantic two-way fireplace can be enjoyed from the two-person Jacuzzi tub, as well as the bed and spacious sitting area boasting large leather lounging chairs. 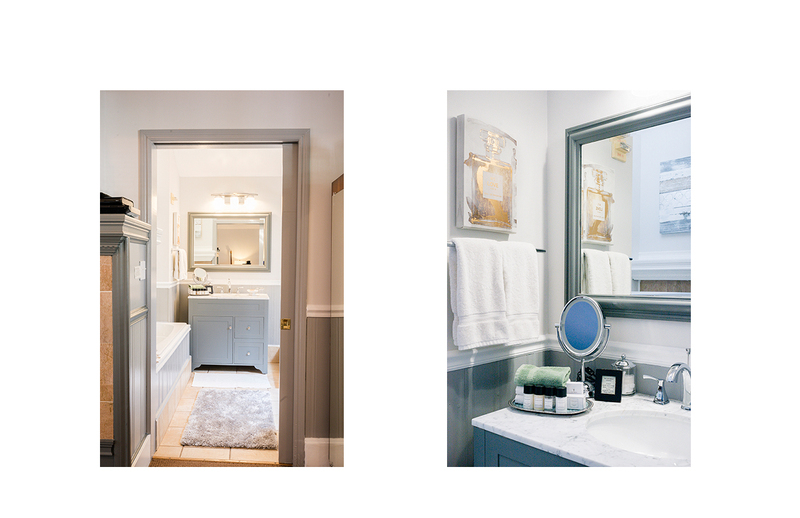 The soft, neutral palette and chrome lighting has contemporary and unique touches. 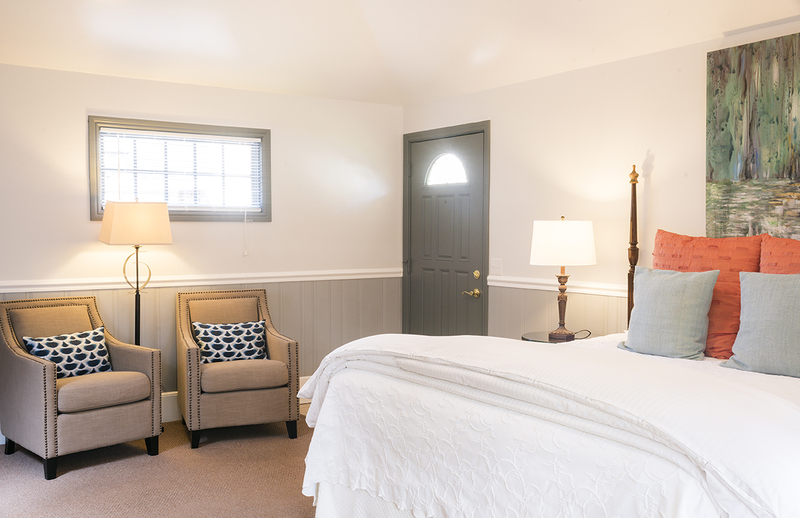 And large, French doors gives this lovers’ retreat a peaceful and private setting to our garden, courtyard patio. Additional features include HDTV, DVD player, bluetooth audio player, refrigerator and coffee service. 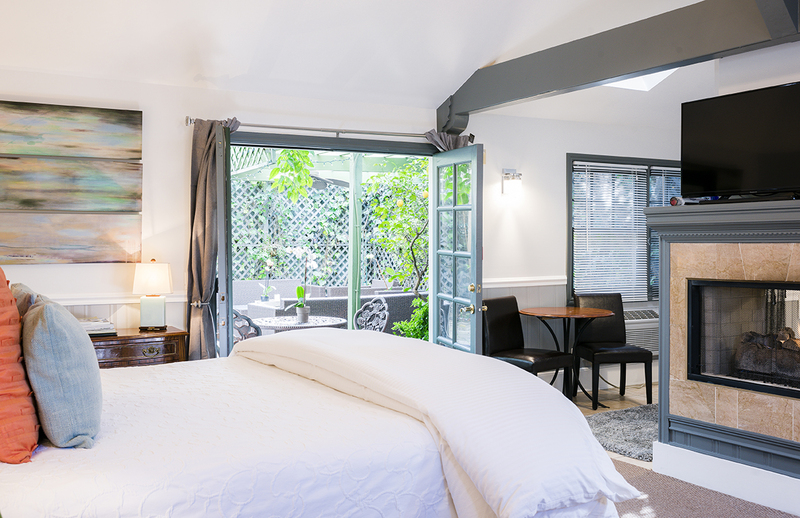 Beautiful French doors open on to the shaded patio courtyard and culinary garden. 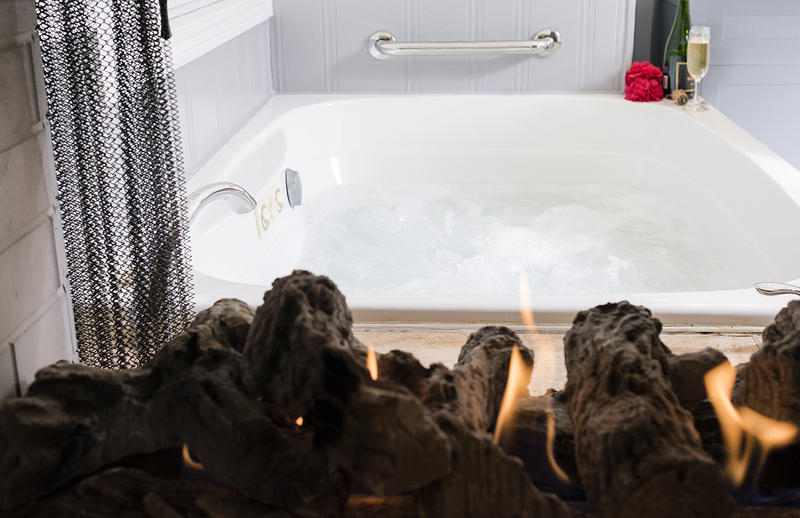 Luxurious robes and sensual bath products further heighten the pampering experience.